I made these eggnog cookies last night to try out the recipe again. I made them last year, did everything I was supposed to, I thought, and they turned out awful. This time around was a different story. They turned out great! Any eggnog fans out there? I enjoyed a glass last night. #pasteurized of course. I love the cold and creamy texture sprinkled with a little nutmeg or cinnamon. yum. And side note..eggnog is supposed to cool down heartburn. It was humorous last night because I had heartburn but really wanted eggnog. I came across it randomly in a food magazine. But alas, it didn't quite help and I had to resort to some tums shortly after. Back to these cookies. 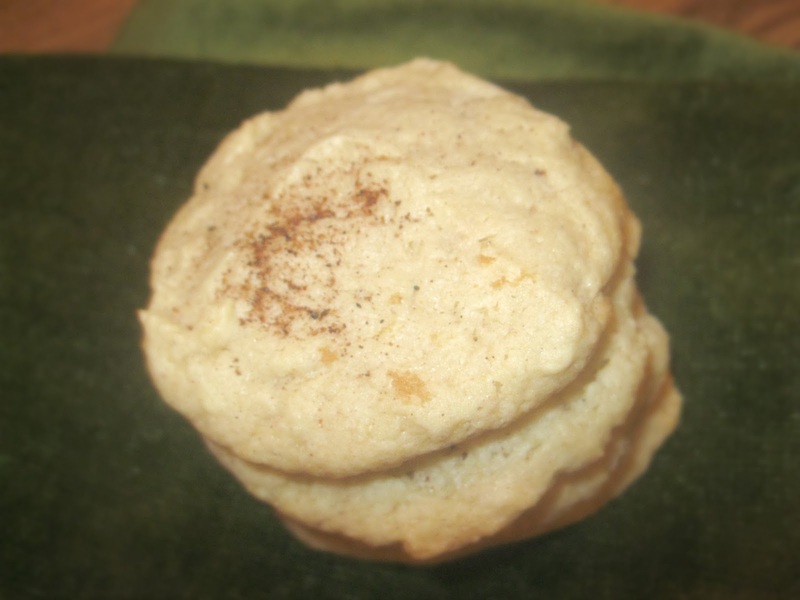 They are full of eggnog flavor and have a wonderful chewy/soft texture to them. They are kind of like pringles; once you pop you can't stop. But please don't 'pop' these cookies in your mouth, or else you'll choke. They are a good size cookie. *I only had unsalted butter. Seemed like salted or unsalted didn't make much of a difference. The flavor was still good. *I added a 1/4 tsp. of salt to the dry ingredients. You'll want to eat this batter, it's insanely good! 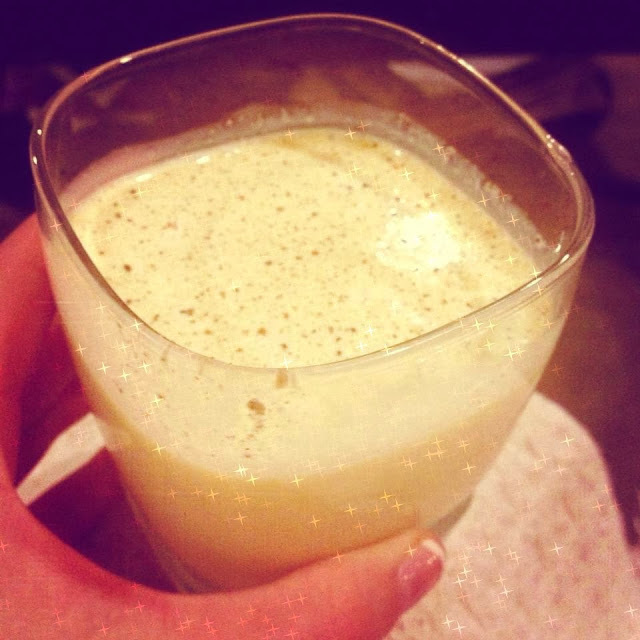 Eggnog: take it or leave it? Share some cookies you're baking for Christmas! So far I've made sugar, chocolate chip, peanut butter, and eggnog. I have loved every single recipe I've tried from The Girl Who Ate Everything! I usually don't love eggnog as a drink but I love eggnog flavored treats. I'll have to give these cookies a try. Thanks so much, Christie! I concur! She has some really great and simple recipes! Also, please pardon the ugly wrench icon tools on my blog. I'm in the midst up upgrading it a smidge. 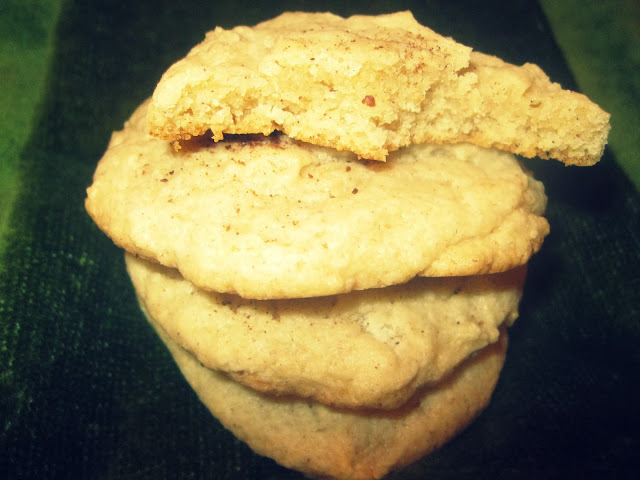 Let me know what you think of the cookies if you try them!